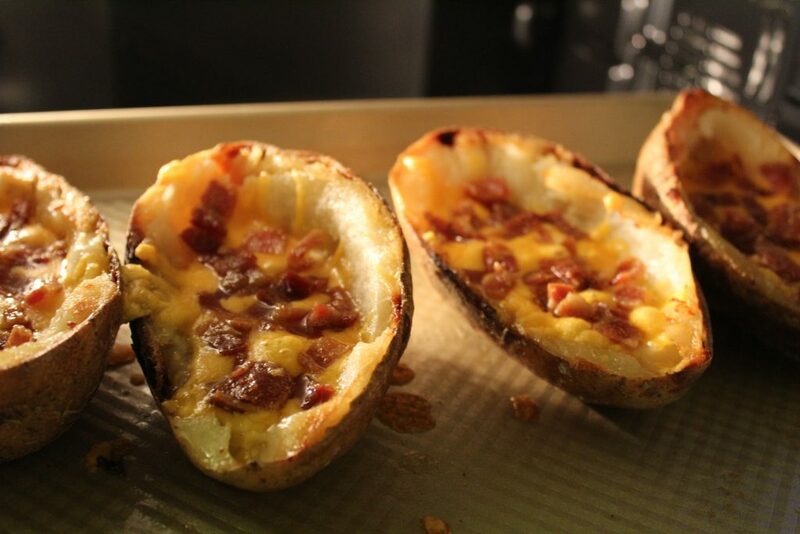 Potato Skins are a classic appetizer and are super easy to make. Plus everything can be made and prepped ahead of time to make cooking them even easier. I really don’t think that an appetizer can get easier than this. It all starts with baking your potatoes. 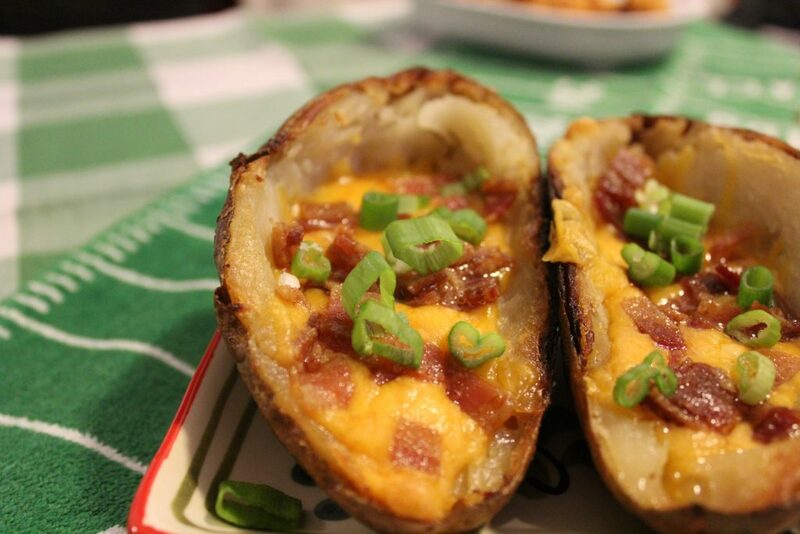 Once your potatoes are cooled, all you need to do is scoop, top and bake! 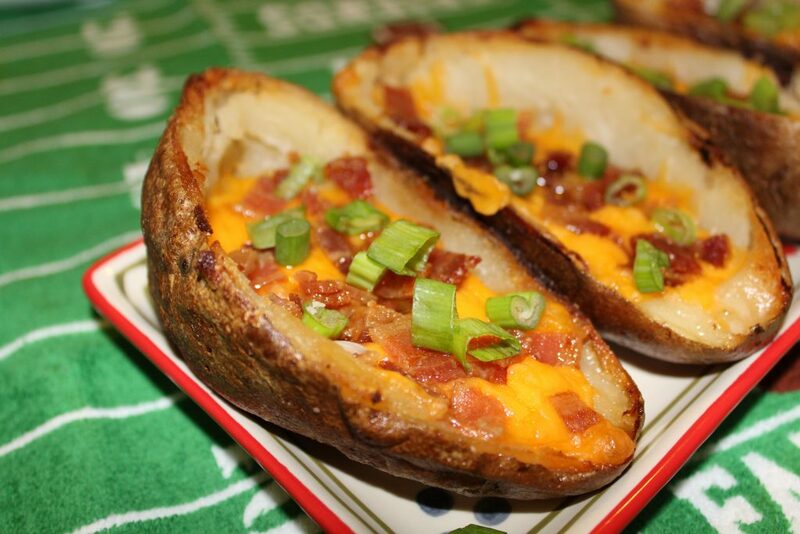 And, if you’re following the recipe and not adding your own toppings, you get to eat bacon while you’re cooking! 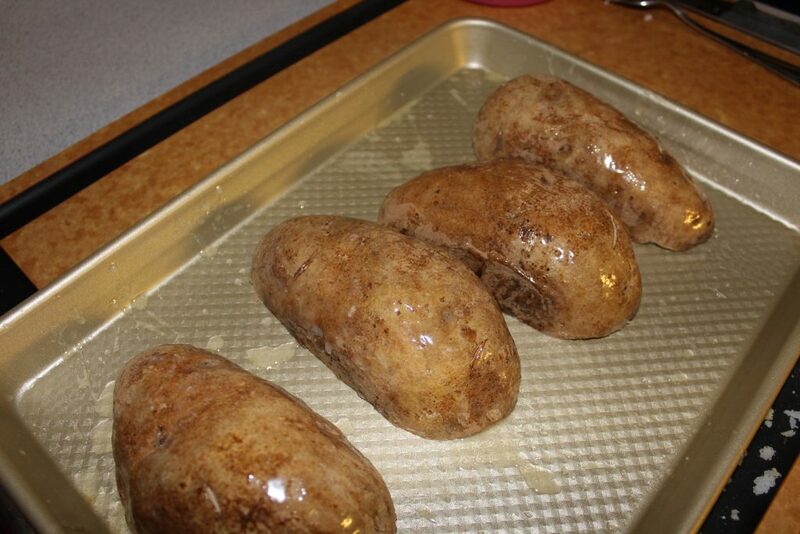 Wash and scrub potatoes. Dry and place on a baking sheet. Drizzle olive oil over each potato, and then sprinkle salt and pepper over the top. Bake for 1 hour 30 minutes. Remove from heat and let cool completely. This can be done the night before. Meanwhile, cut bacon into a small dice and cook until crispy. Drain on a paper towel and set aside. Lower heat to 425 degrees. 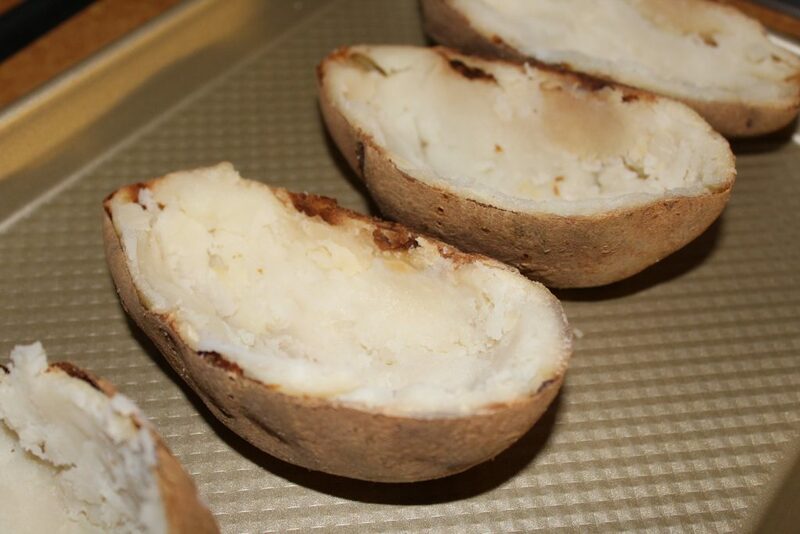 Cut potatoes in half, and carefully scoop out the center, leaving a little bit of potatoes in the skins. Brush each side of the potato with butter and place face down on a baking sheet. Return to oven and bake for 5 minutes. 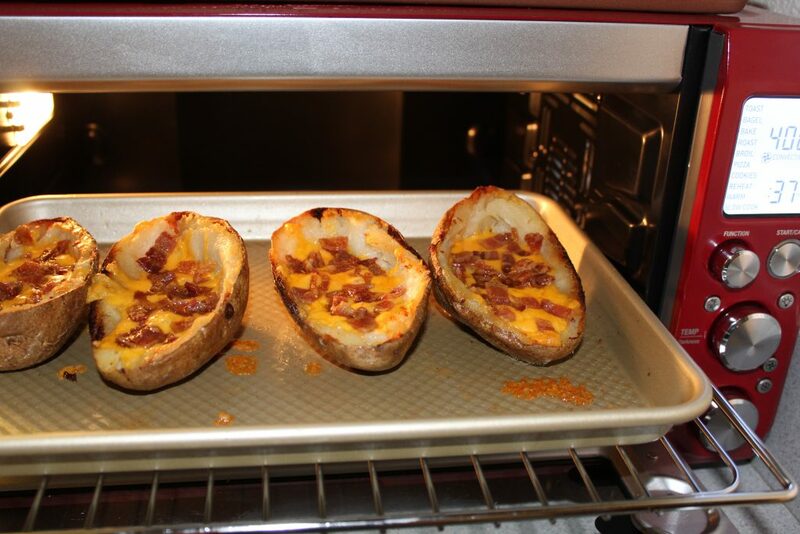 With tongs, flip the potatoes over and bake another 5 minutes. 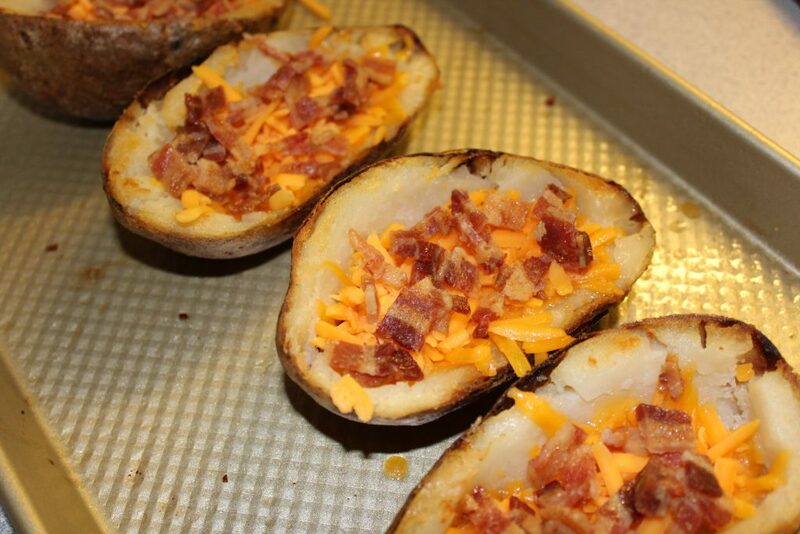 Remove potatoes from oven, and top with shredded cheddar and bacon. Return to oven and cook for another 4-5 minutes until cheese is melty. Top with green onions and sour cream, if desired.